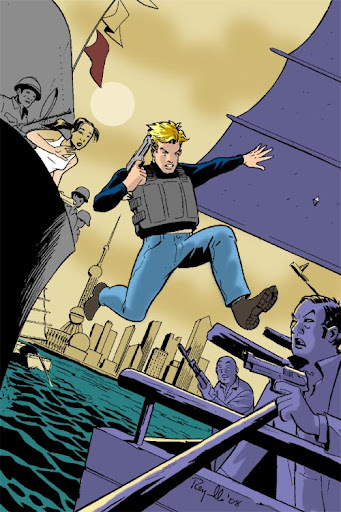 Late last month, a review was posted of Rob Hanes Adventures #11 at the Newsarama website that, for the most part, can be probably best described as "negative." I put "negative" in quotes because the reviewer does say some positive things as well—namely, that RHA is a title he enjoys and looks forward to. Being the optimist I am, I'm always heartened whenever someone mentions to being already familiar with the series. This just happened to be an issue he found fell short of what his usual expectations. Like many artists, I tend to be my own worst critic, so such reviews usually are not too difficult to take, especially when the comments are constructive, and given in the spirit of serious and professional criticism. In such cases, I always respect the reviewer's opinions and can acknowledge well made points. Obviously, if you put your work out there, you have to take the good with the bad. For the most part, reviewers respect the series and my goal with it to recapture the feel of the classic adventure strips in the modern day. Getting serious consideration and study is always better than receiving no regard at all. In retrospect, I'm not sure I completely agree with the review's assertion that Rob acts recklessly/stupidly in the issue—part of the series' conceit, after all, is that he is a high-spirited newbie—but by the same token Rob does tend to conduct himself in a fairly competent manner, so I can see his point. As I mention at a comment I left at the site, the best I can do is try harder and hope the next issue is more to his liking! 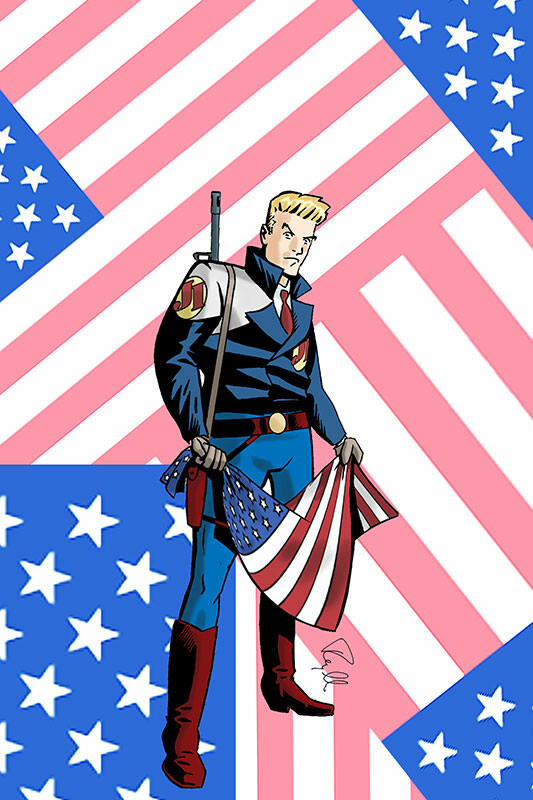 A LOOK BACK: American Flagg!